Huangyaguan Great Wall of China can be found at some 160 kilometers North-east by east out of Beijing, inside of Tianjin City Province. To be exact, the Yellow Cliff Great Wall and Pass lie on the border between Beijing Municipality and Tianjin Municipality in Ji County of Tianjin City Province. It is situated at a point where the mountains open up into a valley, with a river flowing through it. In the middle along the bottom of the valley sits the Huangya Fortress flanked by two sections of the Great Wall leading up the mountain-side. Once a walled fortress, Huangya had long since lost its protective walls and was turned into Huangya village. In 1985 it was restored to its former glory. built during the shortlived Reign of the Northern Qi Dynasty. 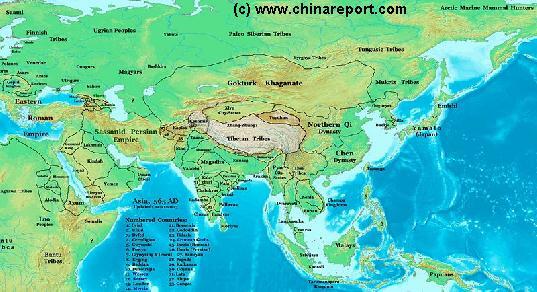 In 550 AD the Qi Dynasty overthrew the historic (Northern) Wei Dynasty, of foreign Toba origin. After the Toba (or Tuoba, now an Ethnic Minority in China) had been driven back North into various parts of (what is now) Mongolia the Qi undertook to recreate the example of Qin (Ch'In) Dynasty Emperor and built a long defensive Wall against enemy states on its Northern Borders. The Qi lived in turbulent Times and their Reign was shortlived, only to be absorbed by yet another War and Dynasty, the succesful Sui who first built the Grand Canal. (after which in the 7Th Century the Tang Dynasty arose). However, in a period of about 30 years, large sections of wall were built along the Borders of Qi China. 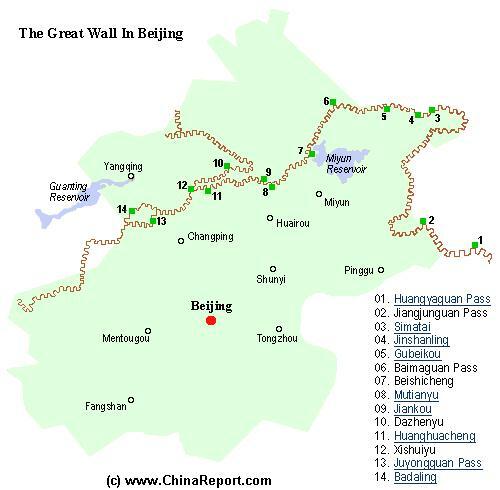 In fact, with their activities the Qi would create the foundations for the later Ming Dynasty Era defensive Walls encircling and protecting the Capital of Beijing. In the succeeding years sections of Great Wall left by the Northern Wei Dynasty which were in poor condition were slated for reconstruction. In the Year 555 AD, King Qi Xuan Wen Di (King Qi, the First) ordered that a Wall be built between Nankou County (currently Nankou Pass between Badaling - JuYongGuan Pass and Beijing City, in Changping County of Beijing) and the Fengzhen Pass, north of Datong in Shanxi Province. According to written records the laborers to be recruited for this construction project numbered 1 Million 800 Thousand. And, as seen before during the Qin Dynasty, construction went ahead at a break-neck pace. More sections of Wall were completed in the year 556 AD. By that time the Northern Qi Dynasty Great Wall ran from Lishi County in North-Shanxi Province all the way eastward to the seashore at Shanhai Guan on the Bohai Sea, a distance of some 1,500 kilometers. With this feat, the Qi achieved what was the longest defensive wall since those constructed by the Qin Dynasty (221 BC - 206 BC) and the Han Dynasty (206 BC - 221 AD). Between the years 550 AD and 557 AD, a much more modest version of The Great Wall of China than the Wall we see today was erected across HuanyaGuan's Passes. The builders of the Time used the only materials abundantly available, making a Wall of Rammed Earth, reinforced with Clay and wood. Large groups of peasants, landless, criminals and the like were rounded up to provide a labor force that would lay much of the foundations of the current day Great Wall of China, not only here in Tianjin Municipality, but across Hebei Province and the Norther reaches of Shanxi Province. The construction of the Qi Dynasty (550 AD - 570 AD) defensive wall started in the year 552 AD in the North-West of their Empire, in what is currently Shanxi Province. The aim of this wall was to protect the North, as well as Western Borders againts attack from the three defeated but still powerfull Nations of Rouran, Tujue and Qidan. The first section of this wall ran northward about 200 kilometers from present northwest Lishi County to west Shuoxian County of Shanxi Province. Schematic Map depicting the multiple layers of the Great Wall of circling Beijing, then continuing into North Shanxi Province, passed YanMenGuan at Datong to PianGuan in the North-West Of Shanxi where it terminates at the Yellow River.The Great Wall continues westward through Shaanxi,Ningxia and Gansu Provinces. In 557 AD, a new step was taken in securing the Empire and a second wall was constructed running south and parallel to the existing defenses and adding depth to the defenses. 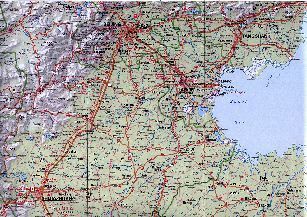 The new second wall ran eastward between present day Laoying Village of Pianguan County on the Old Ox Bend of the Yellow River in West-Shanxi Province, via Yanmenguan Pass south of Datong and Pingxingguan Pass at Hunyuan (renowned from the Monastery-in-Mid-Air), to Xiaguan Village on the Border of current day Shanxi Province and Hebei Province. The pathway of this secondary wall first built by the Northern Qi Dynasty is duplicated by today's Ming Dynasty Wall. Even later, in 563 AD after repelling a large scale invasion from Tujue in the North, King Wu Cheng Di ordered the wall to be lengthened with a section that started from the junction of Shanxi and Hebei (Near Datong) and ran along the Taihang Shan Mountain Range North of Beijing. This particular wall was constructed by the Garrison itself -some 20.000 men-, was about 100 kilometers long and included 12 military posts. The HuangYaGuan - Yellow Cliff location of the Great Wall was part of this construction project. It was built between 563 AD and 566 AD. Some relics of the Qi Dynasty Wall that created HuangyaGuan Great Wall still exist near the peak of Taihang Mountain. The best preserved parts however are located between the Longquan Pass and Xiakou Village of Jianping County in Hebei Province. The part passing through the Niangziguan Pass in central Shanxi Province, the Malingguan Pass and the Huangyaguan - Yellow Cliff Pass in Tianjin City Province no longer exists, except for some original remnants of the pass gates themselves. To be entirely complete, as a last feat of military- and civil engineering, the Northern Qi reconstructed their secondary defensive wall in 556 AD and renovated the wall built by the Eastern Wei Dynasty. 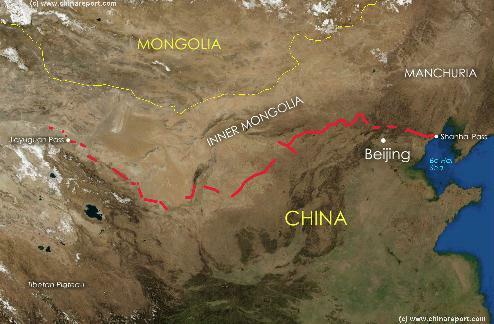 Furthermore, the secondary Qi Dynasty Great Wall was then connected to the Outer Layer near the Yanmenguan Pass. The inserted part of connecting wall went westward from Xiaguan County of Shanxi Province, passed by Chajianling Mountain, the Futuyu Valley, the Zijingguan Pass and Mashuikou, and arrived at Juyongguan Pass. The Great Wall of the Qi Dynasty, including the Yellow Cliff Wall were later renovated and lengthened during Sui Dynasty Era (581 AD - 618 AD). During the Tang Dynasty Era, the Han Chinese Empire included large parts of Mongolia and Siberia as well as the Korean Peninsula, so there was no need for Great Wall-type defenses in this Region. Many Centuries later the Qi Dynasty Wall, by then in disrepair, was rebuilt with bricks in the Ming Dynasty Era (1368 AD - 1644 AD). In this Era the Yellow Cliff section would become known as the "Sleeping Dragon among the Mountains". On the whole, the Great Wall of the Ming Dynasty was built along the lines of the walls of the Northern Qi and the Northern Wei Dynasties. Hence, HuangYaGuan was a part of it. During the reigns of the Emperors' Ming Taizu, Ming Yingzong (the ZhengTong reign (1436 AD - 1449 AD)) and Ming Xianzong, the Ming Dynasty enhanced its north-border defense mainly by constructing passes and beacons. It was not until the time of Ming Emperor Xiaozong (Chenghua Reign, 1465 AD - 1487 AD) that long continuous Walls and over a 1000 fortresses were built to create the massive Great Wall defensive barrier that can still be glimpsed today. Thus, the Great Wall that remains to our day was mostly built that time, during the second half of the 15Th Century. When appointed as the chief commanding officer in the Ji Garrison (one of the eleven Great Wall garrisons of the Ming Dynasty), General Qi Jiguan -legendary in Chinese History- added watch towers and other defensive works to the Great Wall at Yellow Cliff as well further West to the Jinshanling Great Wall (Hebei Province). years 1984-85 AD. All in All nearly three years were spent repairing a length of 3,308 yards of the main wall leading from Banlagang Mountain in the east to Wangmaoding Mountain in the west. With the reconstruction of some 20 terraces, the Huangyaguan Water Gate, Watch towers, frontier cities, drain holes, emplacements, barracks and the Bagua Castle (or Eight Diagrams Castle) the main features of the original defensive system of the wall was brought back into existence. After the renovations, in 1986 AD, HuangYaGuan was listed as a key protected relic of Tianjin city. When it was still in function the Yellow Cliff Great Wall of China included a multitude of ancient defensive structures among which first and foremost a garrison fortress, then the high-wall on the ridge with the Cliff, a water pass and several beacon towers. Apart from Fortifications, today's Yellow Cliff Great Wall and Scenic Zone include multitude of small attractions. Below the Hills of Yellow Cliff lies Bagua Village where one finds the stele forests of the Great Wall and the original Great Wall Museum. The Stele Forrest lies inside a cloistered garden, and is known as the Largest in Northern China today. It mainly serves to emphasize the greatness of the Communist Party, who financed the reconstruction of the Huangya section of the Great Wall. Apart from inscriptions by over 100 Generals of the Peoples Liberation Army, among whom some of the highest Generals in the early history of the Peoples Republic, it includes a Bronze Statue of Mao Zedong and includes a copy of a Caligraphy by his hand. It is the famous Poem named Snow, which was written during the Long March (1935 AD - 1936 AD) and mentions the Great Wall of China. The Huangyaguan Great Wall ranks first in the List of 10 most-visited sites in Tianjin City Province, and is on the itenerary of every school in the wider regions. It is considered to be a miniature of the Great Wall in its most developed form. Being endowed with both natural beauty and cultural interest, it has become famous as a natural beauty spot and a summer resort for emerged middle-class City Citizens. The major scenic area is composed of Huangyaguan Pass and Taiping Mountain Stronghold. As the name suggests, the entire Yellow Cliff Great Wall lies on a precipitous ridge of mountains. It has an eastern cliff, that naturally functions as a screen against invasions and a western precipice on which lie all the supporting structures. Since the Year 2000 AD and the change of Millenium, Huangyaguan Great Wall section of the Great Wall is the Main Site associated with the Annual Beijing Great Wall of China Marathon event. Although a small event with only some 1400 to 1500 participants the Great Wall Marathon offers a truly unique track and challenge. 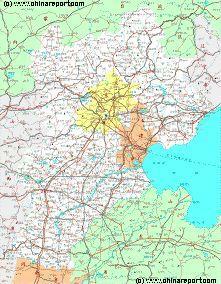 An Outline Geographic Map o/t Southern Regions of Beijing City Province and parts of Hebei Province. 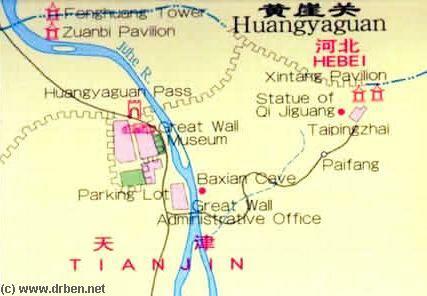 Map includes HuangYaGuan Yellow Cliff Wall & parts of Fansghan District. So Far Best option is to go to Beijing Eastern Railway Station - Dongzhimen. This Station is easily reached by Subway/Metro. From the Bus Station across from Beijing East Railway Station take Bus Line 918 Long Distance. This Bus travels directly to your destination and takes around three hours to get reach Huangyaguan. A secondary practical option can be to go to an International Youth Hostel and ask for Transport and Tour. Although HuangyaGuan is part of Tianjin City & City Province, many from Beijing Travel there. How to get there from Tianjin City: There are tourist bus available every weekend at the northeast bus station of Tianjin and there are also buses available from the Tianjin Railway Station, but fewer. Take the bus from Tianjin to Jixian and then transfer to a smaller bus that travels directly to Huangyaguan. women, their sacrifice and the spirits of their deceased sons. The Village is further promoted as one of the Bastions of the Taiping Movement, a movement now recognized as early revolutionary and lies to the south-west of Yellow Cliff Wall and Bagua Village. For 10 RMB a small bus can take you to Taipingzhai (太平寨) from where it is possible to walk back to Huangyaguan in about one and a half hour. Site Map of the Yellow Cliff Great Wall Site (Huangya Guan) in Tianjin City Province and Vicinity. The Great Wall Museum of HuangYaGuan was the first of many such museums that since emerged along the Great Wall. However, more interesting than this fact are the explanations of the construction of The Great Wall of China and the even better exhibitions with historical copies of the arms and costume of General Qi Jiguang and his Troops of the Ming Dynasty Era, who constructed the Yellow Cliff during the 16Th Century. The Story of the General and his Troops goes generally as follows: In the Ming Dynasty Era (1368 AD 1644 AD), during the Reign of Emperor Muzong, two tribes called Anda and Tuman who had their homes outside of the Wall frequently invaded the border near Ji Men (Ji Gate), threatening the Ming Era Imperial Capital City of Beijing. Therefor, in 1568 AD, one year after taking to the Throne, the Muzong Emperor appointed General Qi Jiguang as chief officer dealing with military affairs of Jizhou, Changpin(g), Liaodong (now roughly: Liaoning Province) and Baoding (South of Beijing). After inspections and investigations, the General suggested repairing The Great Wall of China between Shanhaiguan Pass in the East and Changping to the north of Beijing, building along the line 3000 watchtowers. Although Emperor Ming Muzong and his courtiers eventually consented to only 1000 towers, it is said that it was the General who won out since he purposely over-asked and therefor got what he needed. The (re)construction started in 1569 AD and although an important and ground-breaking peace treaty was signed with the tribes of the North in 1571 AD - allowing trade, the construction went on regardless lasting in all for three years. Altogether 1007 lookout towers were set up between Shanhai Guan and Changping (now Outer Suburb and District of Beijing) and the defense on the north border was greatly strengthened leaving much to survive until today. Facing Huangya Pass as a site with a great disadvantage to any attacking army and a considerable fortress, no enemy ever attempted an attack on this section of the Great Wall of China. Nearby Bagua Village and the Entrance to the Wall lies the Beiji Temple, the exhibition hall of famous couplets and the Phoenix Fortress, the latter of which is a newly restored Fortress-Tower, alledgedly the largest found along the entire length of The Great Wall of China. 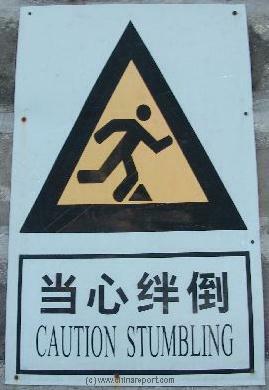 The Marathon does not cross any of the Steep parts of the Yellow Cliff Great Wall. Hikers and Visitors beware ! Slopes are steep with often well-trodden and slippery stones. Especially those afraid of Heights should mentally prepare, but still go. A Full Google Earth Supported Map of Yellow Cliff Great Wall by Google.com. Adjacent Map gives direct access to Yellow Cliff Wall Map by Google Earth. While in the Far west the Qi Empire stretches as far West as Dunhuang, the Silk Road is temporarily blocked by the unification of Mongol Tribes in the Gokturk Khanate and the appearance of the smal XiYe City State in the Tarim River Basin. largely made of stone and overall better organized and structured. The Huangyaguan Great Wall is some 42 Kilometers (26 Miles) in Length, which makes it the longest walkable section in China entire. It lies at an average height of 738 Meters, and today has two sections open to visitors: Huangyaguan Wall plus its restored fortress village, and Taipingzhai Stronghold Village, which is the support fortress dominating the valley below.